Last week I read a thread on Wordshare (an internet forum of UPCI ministers) that opened up a conversation about “conviction” preachers. For the unacquainted with Pentecost, a “conviction” preacher is one of the very few among ministers now who could preach with such power that the White Knuckle Syndrome would develop. The White Knuckle Syndrome is that experience by which those who had never been to a Pentecostal service would hold on to the back of the pew in front of them so as to remain seated and not go to the altar to pray. Several notable men (John Carroll, KS; Steve Shubert, TX; Mark Bassett, CT; Doug White, TX; and a few others) on this group continued their responses until it became like the water that was used in the old days to prime the hand pumps. All of their responses jumpstarted my thoughts about the status of preaching today. John Carroll mentioned of O. R. Fauss that his voice was that of a by-gone era and that today we only had echoes of those kinds of messages. As time passes, if there are not some who long to stand in the gap and preach this way, these sermons are going to be relegated to antiquity. It is not pragmatic. That means that this sort of preaching is not going to fill up a church nor will it fill the coffers to pay for all the “stuff.” The “show” must go on and this kind of preaching gets in the way of the “show.” Most doctrinal teaching and preaching will immediately define and create distinct boundaries. This sort of preaching does not tell you how to manage stress, grow stronger families, or climb the corporate ladder. Recently Ed Young of Dallas introduced this to his pulpit on a Sunday. How’s that for pragmatic! If you think this is an exception to what normally goes on, peruse the websites of these mega-shows (not churches) and see what is being preached and taught. . . Everything but the Gospel. Go here if you want more commentary on the senseless stuff that is pouring out of America's pulpits these days! If you attend all these sorts of seminars about church-growth and preaching, it won't be long until the core reduction of the attendee will become a parrot. It demands a commitment. The commitment that this preaching demands is that which is life-changing. It is preaching that calls out the worldlings to a higher level of relationship with God. The closer you get to God the more that He reveals the necessity to change. This sort of preaching does not accommodate contemporary culture trends nor does it tolerate multiple choices. 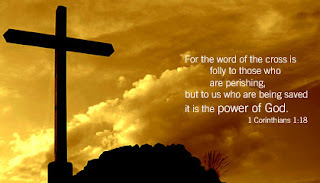 It calls for Biblical knowledge. To listen to this kind of preaching requires a much more in-depth knowledge of the Bible than our society has. Our current society is far more familiar with the line-ups of the Braves and Dodgers, the box-scores of their fantasy teams, the antics that Brittany and Paris are up to this week, and how to operate the latest thingamajibby (camera phone, PDA, Blackberries, etc.). All of this is much more important than understanding a Book that is attempting to get them ready to face an eternity somewhere off in the future. Our society has turned into barn-building fools who never expect that on tomorrow an accounting must be rendered. 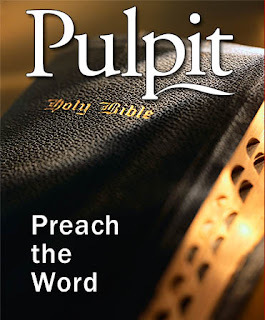 So with those few reasons as to why modern worldlings do not like “conviction” preaching anymore, I now want to give just a few thoughts that came to me as to what made up those old “conviction” preachers (i.e., O. R. Fauss, James Kilgore, J. T. Pugh, Curtis Spears, and Keith Clark). This list is in no particular order or importance. I believe that these men were much with God and were little with the world. They were truly separated from the world and to God. Their focus was on how close they could get to God. Their preaching was not geared toward moving into a larger house, owning a nicer vehicle, or modeling the newest trend in suits. In fact, many of them seemingly had much disdain for financial success and were concerned with spiritual results. Sanctification is an idea that seems almost completely missing from the Emerging conversation. An almost pathological fear of "legalism" keeps emerging types from ever questioning whether any element of postmodern culture is compatible with Christlikeness or not. Taboos are the only remaining taboo nowadays. But when (for example) tattoos, cigars, beer, poker, and other stylish emblems of worldly culture are widely regarded as necessary elements for "relevant" men's ministry, I'd say the pendulum has swung too far against the dangers of "legalism." Does no one recall that loving this world and conforming to its tastes (and tasteless preferences) is also a dangerous sin? In their preaching one could sense an all compassing hunger to touch God in their personal life. As they were reaching for God in their preaching, the congregation was immediately drawn up into the “chase” with them. It is crucial that every man who opens up the Word to preach it, have in his own life a certain measure of desperation and tenacity to gain the presence of God. Much like the midnight wrestlings of Jacob, a conviction preacher will venture into that same atmosphere. The places that we wrestle with God are often marked with fear of the pursuit (from Esau), darkness that is overwhelming (the fight occurred deep into the night), an absence of resources (alone with God in a place where talent, pedigree, and ability means nothing), pain and weariness (every battle will cause some joints to get dislocated and energy expended will tire us), and loneliness (you cannot take anyone with you). This is where the conviction preachers took us with their messages. Their messages were not filled with the “atta’ boy” or the “c’mon you can make it” content. Their messages did not so much encourage you for the here and now as it did for the hereafter. The content of the conviction messages were generally contrasted between Heaven and Hell. They centered on the pain and wonder of the Crucifixion. They pressed with messages about personal prayer. They preached on the White Throne of Judgment and the Judgment Seat of Christ. They preached on the lost opportunities of Achan, Judas, King Saul, and Samson’s foolish decisions. It almost appeared as if they had literal regard for the so-called wounded self-esteem of men. In fact, they thought that the more wounded a man was the better his chance of moving to an altar of change. When was the last time you heard a message on Hell? When was the last time you preached on Holiness and identified what was profane? I will not elaborate on the personal suffering that some of these men had to endure. However, they walked through some very lonely and dark valleys in their lifetime. Our modern concept is to remove every bit of the pain possible. However, great suffering and heartbreak often brings great purpose and anointing. Their preaching would often give heart-rending stories of poor choices that people had made that were detrimental to their walk with God. These stories that they told were not related with tasteless rancor but rather with compassion and a pleading tone. They were wise students of human behavior. What they understood was that there was nothing new under the sun and the same mistakes that men make today were the same ones that pour out of the Bible. I am in the process of converting some of O. R. Fauss’ messages from cassette to MP3. Some of these messages are 25-30 years old. In the converting process, I have listened to more than one gut-wrenching story about a backslider who walked away from the church and came to an ill end. The stories that are frequently used today are up-beat and on extremely rare occasions do you hear about what happened to those who went in the wrong direction. These illustrations need to re-appear in sermons because they serve as voices of warning. I am certain that there are other things that make one a “conviction” preacher. If there ever were a time that God needed men to stand on the wall and cry aloud, it is today in modern times. Every wall needs a watchman. . . Every church needs a man of conviction in the pulpit.